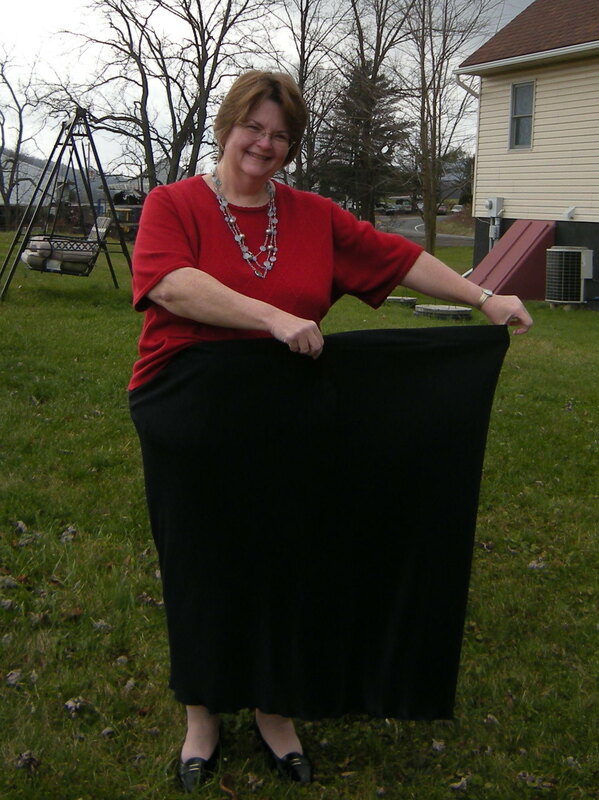 In fairness, this skirt has a very stretchy elastic waist. I started out my weight loss journey in February 2011 in the "Super Morbid Obesity" category with a BMI of 53. In May I crossed into "Extremely Obese" territory, and today I am proud to announce that at 237 lbs I am simply "Obese" without any adverb attached. I join the millions of other Americans who are simply fat, rotund, fluffy, or Rubinesque. This morning I tucked my skirt waistband into my underwear to hold it up, but since my underwear is also over-sized, it was a risky proposition. Now safely home from Church without any flashing episodes, I share my joy in my new-found state of obesity. I'm down 82 lbs.! The average gastric bypass patient can expect to lose 62% of their excess weight which would put me at about 214 lbs - still "obese" territory. "Moderately overweight" is 180 lbs. at my height, and "normal" is 150 lbs. Can I do better than average? Stay tuned.